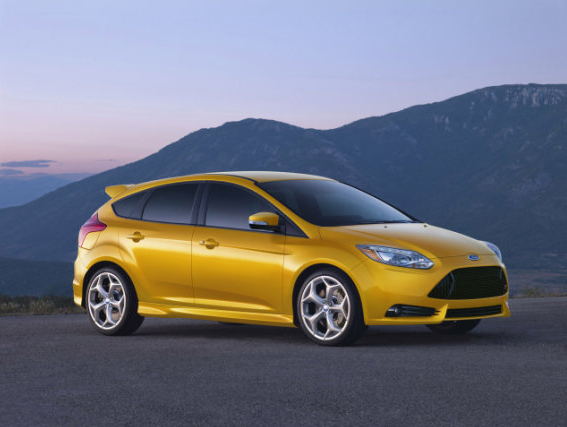 Brighton Ford : Ford Reveals 2013 Ford Focus ST Pricing and Specs! Ford Reveals 2013 Ford Focus ST Pricing and Specs! Ford has finally revealed pricing info and specs on the the long-awaited 2013 Ford Focus ST and things are looking pretty good! Rolling in with a base price of $23,700 (excluding a $795 destination fee) Ford's new performance-minded hatchback will be more affordable than both the 2012 Mazdaspeed3 and 2012 Volkswagen GTI. Check out this recent report from the Chicago Tribune for all the details. Mainly, what you're getting here is the tricked-out engine: a 252-horsepower, turbocharged 2.0-liter four-cylinder that produces 270 pounds-feet of torque. Those figures are a big bump from the 247 hp and 250 pounds-feet of torque Ford stated previously. Compared to the traditional Focus, Ford also reworked the suspension by upgrading the shock absorbers and springs. The rear suspension has been revised with uprated knuckles and an all-new antiroll bar design. The electronic power-assisted steering also has a torque steer compensation program, which detects torque steer and counteracts it when necessary. Overall, the sport-tuned suspension offers less ground clearance but better cornering abilities, says Ford. The Focus ST comes standard with 18-inch alloy wheels with summer tires, fog lamps, sport cloth seats, aluminum pedals and shifter, a leather-wrapped steering wheel, push-button start with passive keyless entry system, Ford Sync, an antitheft engine immobilizer and a perimeter alarm. Two packages are available: Equipment Group — ST2 adds a 10-speaker Sony audio system, MyFord Touch with an 8-inch touch-screen, dual-zone automatic climate control, HD and satellite radio and Recaro-brand partial-leather seats for $2,385. The Equipment Group — ST3 builds off of ST2 and adds high-intensity-discharge headlights with articulating lenses and LED accent lighting, ambient interior lighting, a rear armrest, a navigation system and full-leather upholstery for $4,435. The Tangerine Scream exterior color option (shown above) is exclusive to the Focus ST and costs $495. Other stand-alone options include a power moonroof ($895) and a navigation system ($795 ST2 only). 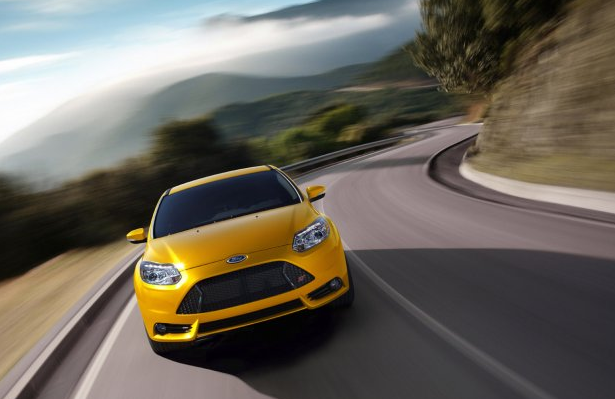 A fully loaded Focus ST will cost you $29,525, which is a new high for a gasoline-powered Focus. Buyers who are interested in a Focus ST and preorder now will also receive a $299.99 GoPro HD Hero2 Motorsports Edition camera for free. This offer ends Aug. 20 or after the first 1,000 orders. If you have any questions about the 2013 Ford Focus ST, or any other questions for that matter, please, Contact Us today!